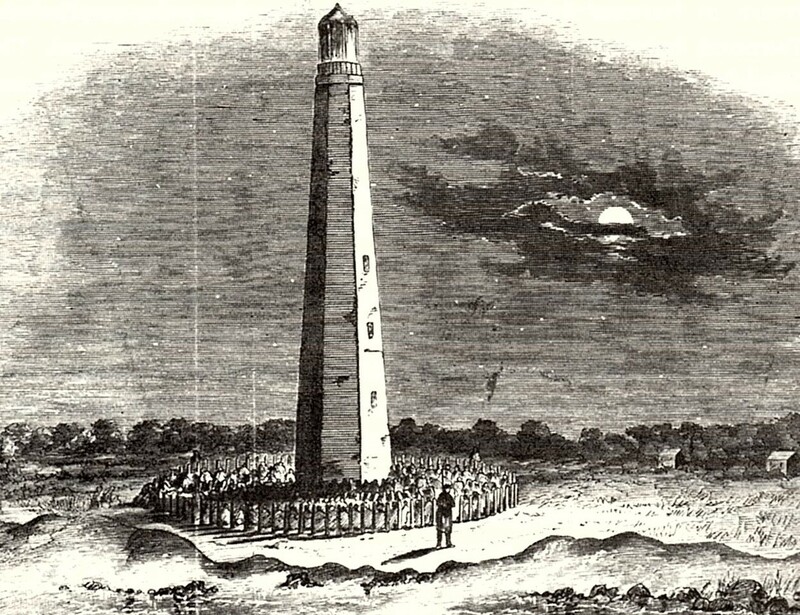 Visitors to the Outer Banks may not realize that the iconic Cape Hatteras Lighthouse and the picturesque Ocracoke Lighthouse are not the original beacons. 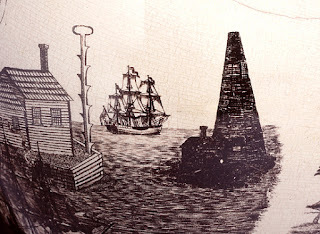 On July 10, 1794, Congress appropriated $44,000 "for erecting a lighthouse on the head land of Cape Hatteras...." The original Cape Hatteras Lighthouse was constructed in 1802. It was made of unpainted sandstone, and stood 112 feet above sea level. In 1868 Congress appropriated $80,000 to build the current tower, which was lit in 1871. The new lighthouse, with its black and white candy-stripe pattern, stands 200 feet above the sea, and is the tallest brick lighthouse in the world. The original structure was demolished in 1872. 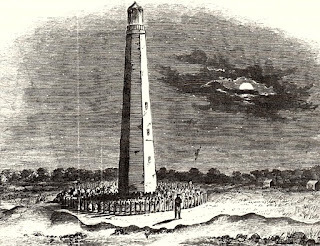 The 1794 legislation also called for "...a lighted beacon on Shell Castle Island, in the harbor of Ocracoke in the State of North Carolina." In 1798 a 55' tall wooden pyramid-shaped tower, covered with shingles, was built on "Shell Castle Rock," a 25 acre island of oyster shells just inside Ocracoke Inlet. At the time this was considered the "harbor of Ocracock" since "Cockle Creek" [later renamed "Silver Lake" after it was dredged] was merely a wide, shallow tidal creek. Ocracoke's current lighthouse was built in 1823, and is the oldest operating lighthouse in North Carolina. I have never seen the Bald Head Light, but I understand it ceased to function as a lighthouse in 1935. Ocracoke is the oldest operating lighthouse in NC. I don't think any of shell castle island is still above water. Storms and tides have eroded it away. When will the Daffodils begin to bloom?